Aerial’s residential project at 322 W 57th St, NYC was featured on Houzz among “50 Dining Settings Around the Globe”. Thank you Deirdre Avenell from the Houzz Editorial team for choosing our work! Click here to read the article. 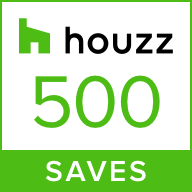 Aerial’s residential project at 252 7th Ave has been featured 4 times to date on Houzz! We are happy to announce Aerial’s residential project at 252 7th Ave has been featured 4 times to date on Houzz, this time among “15 Great Design-Minded Uses for LED Lighting”! Read the full article here. New residential projects at 939 Union, Brooklyn and 350 E 57th St, NYC underway! Aerial is currently working on new residential projects at 939 Union, Brooklyn and 350 E 57th St, NYC. Check our photo gallery of completed Residential Projects here.